On Saturday 23rd February Bermane Stiverne, 25-3-1 (21), now aged 40 and with less than three minutes of ring time since November 2015, will face British prospect Joe Joyce in a fight notionally made to test Joyce’s readiness for the big prizes. The end will come when Joe Joyce lands sufficient of his customary blows to deter an unexpectedly proud Stiverne or, more likely, the first time Stiverne thinks he’s been hit by something not too embarrassing to sit down to. Experience dictates either story will unfold inside the first six minutes and whilst history does occasionally throw up an exception or two, Bermane Stiverne lacked the right kind of hunger for that world title shot at Deontay Wilder in November 2015. Hard to conjure a fight with Joyce could rekindling his desire. All of which could appear a damning critique of the matchmaking, but it isn’t intended to be. This type of fight is, after all, merely following the time-honoured pathway to the top taken by almost every heavyweight of note in the past 100 years. Somewhere in a fighter’s education he reaches the 8 round level, then the ‘go the distance’ fighter and then, at the instinct of the fighter, his trainer, manager and promoter, the former champion gets the call. Joe Joyce has vaulted to this point quicker than predecessors from these shores, even those as decorated in the Amateurs as Joyce was. Stiverne will be just his 8th professional contest. His age encourages urgency, at 33 he doesn’t have his twenties to spend knocking over a procession of lumbering doorman and European truck drivers. 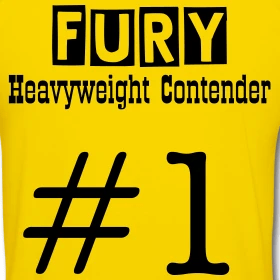 Bermane Stiverne has the former world champion tag, the WBC version he won beating Chris Arreola in 2014 before relinquishing it in his last motivated performance in 2015 to Deontay Wilder. It is a fun collision between the two and entirely the right step for Joyce at this point, particularly as it will benefit from the attention drawn to the main event it supports; James Degale versus Chris Eubank Jnr. ITV Boxing will be showing the card here in the UK. The fight takes place at the O2 Arena, London.